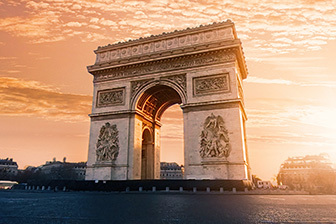 The Arc de Triomphe is a monument steeped in history and has become a must because of its position. This arch is the largest in the world and thus underscores its triumphs with dignity and gives a certain idea of the scale of the work carried out in Paris. Located on Place de l'Étoile, the Arc offers a breathtaking 360-degree view of the 12 arteries that radiate around it. From its summit, you can admire the famous Avenue des Champs Elysées, La Défense, Place de la Concorde, the Eiffel Tower, the Dôme des Invalides, the Basilica of the Sacred Heart, the Opéra Garnier and many other historical monuments. One advice only: climb it, on foot or by elevator for people with reduced mobility, as quickly as possible, day and night! Located in the 8th arrondissement, rue du Faubourg Saint Honoré starts on rue Royal and ends its journey on the Place des Ternes. Rue du Faubourg Saint Honoré is a pleasant street and is dotted with luxury boutiques such as the famous Hermès house or the Guerlain workshop! 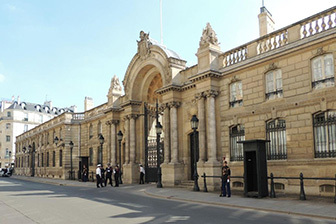 You can also find art galleries, embassies, private mansions and especially the Elysée Palace, the residence of the President of the Republic. If this street is already a must for a shopping session as it should be, this street is also a delight during Christmas holidays since the stores participate in decorating the area sumptuously through their windows. And if you don't want to buy, go there just for the pleasure of the eyes! If you do not visit the Louvre during your stay in Paris, you may be charged with the crime of "lèse-majesté" ! The Louvre is one of the most beautiful museums in the world and an ode to all the cultures and treasures that make up and mark its rooms. This former Palais-Royal, which dates back eight centuries, has been marked by many architectural styles and in 1989, the construction of the Pyramid of the Louvre, made of glass and metal, added a touch of modernism to the landscape. More than 35,000 works take you through time and space thanks to the diversity of the incredible collections, the historical departments and the building itself! If you haven't already done so: add this jewel to your To Do List! 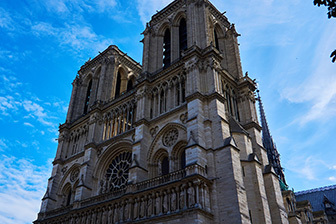 The majestic Cathedral of Notre-Dame de Paris respectfully watches over the Ile de la Cité and immerses you directly in the historical work of Victor Hugo. The surroundings of the Gothic-style cathedral have some charm, but the majesty of the place can be seen from the inside. The stained glass windows, paintings and organ of all beauty transport you into a mystical, magical and breathtaking universe. It is possible to climb the 422 steps that make up the Notre-Dame towers in order to enjoy a breathtaking and panoramic view of the capital and admire the famous gargoyles that may come to life before your eyes. Feel free to visit the building to discover its facades decorated with frescoes from all angles! 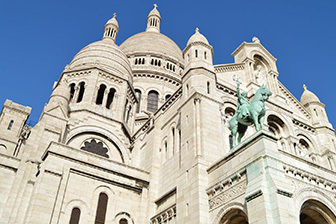 The Basilica of the The "Sacré Coeur" is located at the top of the Montmartre hill and dominates the district with its imposing all-white construction. Once inside the building, marvel at the largest mosaic in France on the ceiling! You can also access the dome and enjoy a magnificent 360° view of Paris. Around the basilica, do not hesitate to stroll towards the Place du Tertre, the Abbesses district with its steep streets and observe the front of the famous cabaret: the Moulin Rouge! To get there, don't be impressed or intimidated by the steps, you can take a cable car! And for the bravest, it's an opportunity to discover the beauty of the place! Passing through Paris? To come and admire the great Iron Lady is an unavoidable rite! 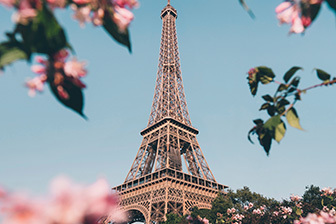 From its 325 metres high, the Eiffel Tower proudly sits on top of the city of Paris and keeps an eye on its inhabitants and travellers from all over the world who come to contemplate it. Not far from the Arc de Triomphe and the Obelisk, this world-famous monument is the emblematic symbol of the French capital. Whether for children or adults, visiting this building will amaze you on every floor. During the day, it shines under the sun and offers a golden view of Paris and at night, it glitters and its reflection dances on the Seine, lying at its feet. The Iron Lady will always make us dream with her magic! Located on Place de l’Étoile, the Arc offers a breathtaking 360-degree view of the 12 arteries that radiate around it. From its summit, you can admire the famous Avenue des Champs Elysées, La Défense, Place de la Concorde, the Eiffel Tower, the Dôme des Invalides, the Basilica of the Sacred Heart, the Opéra Garnier and many other historical monuments. And if you don’t want to buy, go there just for the pleasure of the eyes! 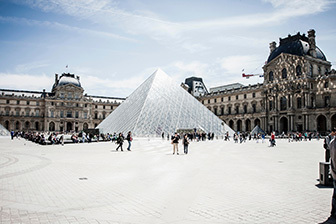 If you do not visit the Louvre during your stay in Paris, you may be charged with the crime of “lèse-majesté” ! If you haven’t already done so: add this jewel to your To Do List! The Basilica of the The “Sacré Coeur” is located at the top of the Montmartre hill and dominates the district with its imposing all-white construction. To get there, don’t be impressed or intimidated by the steps, you can take a cable car! And for the bravest, it’s an opportunity to discover the beauty of the place!